The market for real diamonds may feel the impact. For an industry that is still reeling under the Nirav Modi and Mehul Choksy scams, there is fresh trouble brewing. This time, it is the announcement by London-headquartered De Beers, the world’s largest diamond company with mines in Botswana, Namibia, South Africa and Canada, that it is launching a jewellery brand using synthetic diamonds in India. A synthetic diamond (also known as an artificial diamond, cultured diamond, or cultivated diamond) is produced using an artificial process, as opposed to natural diamonds, which are created using geological processes. 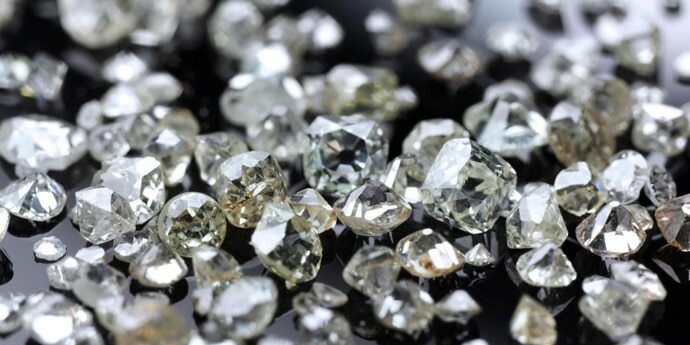 A section of traders in Surat and Mumbai, two main hubs for diamond trade in India, are up in arms against the launch of synthetic diamonds in India, since they believe that such diamonds will destroy the market for real diamonds here. Although there is an ongoing trade of synthetic diamonds in India, it has been largely underground, since such trade has never been considered legitimate in India. The Bharat Diamond Bourse, situated in Bandra Kurla Complex in Mumbai, which houses top diamond exporters, does not deal with synthetic diamonds since they have the potential to infiltrate into diamond trade and bring the industry a bad name. “It is difficult to discern between a natural diamond and an artificial one, and it can fool the customer,” says Hardik Hundia, a diamond trader and editor of a trade publication. Customers will be lured by the low price for such diamonds. “While a natural diamond can cost Rs 3 lakh, the value of a similar synthetic diamond would be as low as Rs 50,000,” says Hardik. If Surat is the manufacturing hub of diamonds, cutting and polishing nine out of ten diamonds in the world, Mumbai is the trading hub, dealing in the import of rough diamonds from countries such as South Africa and Australia, and export of value added diamonds and diamond jewellery to markets in the US, Europe and Southeast Asian countries. The diamond industry exported products worth $23 billion (Rs 1.5 lakh crore) in 2016-17 and employed nearly 3.5 million people at various centres in Mumbai, and Surat Ahmedabad, Bhavnagar and Palanpur in Gujarat. Crisil estimates the overall gems and jewellery market at Rs 3.9 lakh crore, of which only 30 per cent is in the formal retail sector. Post the Modi-Choksi scam, jewellery sales were expected to take a hit of 16 per cent. Some 3,000 permanent and around 8,000 non-permanent staff of the companies under the authorities’ scanner have also been rendered jobless, as several outlets and factories of Modi and Choksi have been shut down or sealed. Meanwhile, the Gems and Jewellery Export Promotion Council, the apex body for the sector in India, has said the foray of De Beers into the synthetic diamond business will help customers distinguish between synthetic and natural diamonds in a better fashion, and will not have any impact on the demand, appeal and value of natural diamonds. De Beers has been conducting research and producing synthetic diamonds for the last 40 years, it said. Also read: Who is Nirav Modi and how did he pull off Rs 11,360-crore bank fraud?